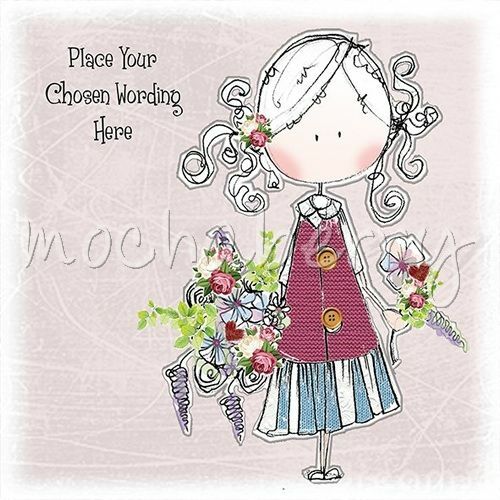 A delightful personalised card design of a girl carrying flowers. Hand finished with glitter and various embellishments (not shown). suggestions for use: girl birthday card, mothering sunday card, sister, daughter, niece, mum birthday card.